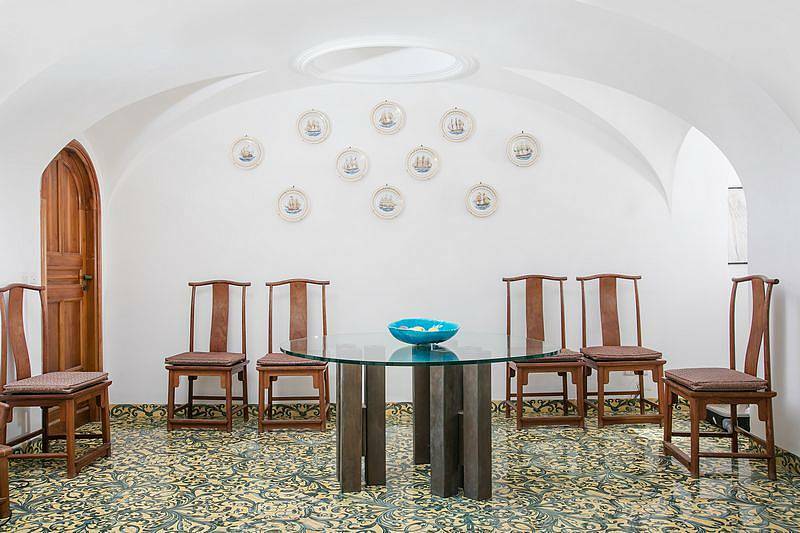 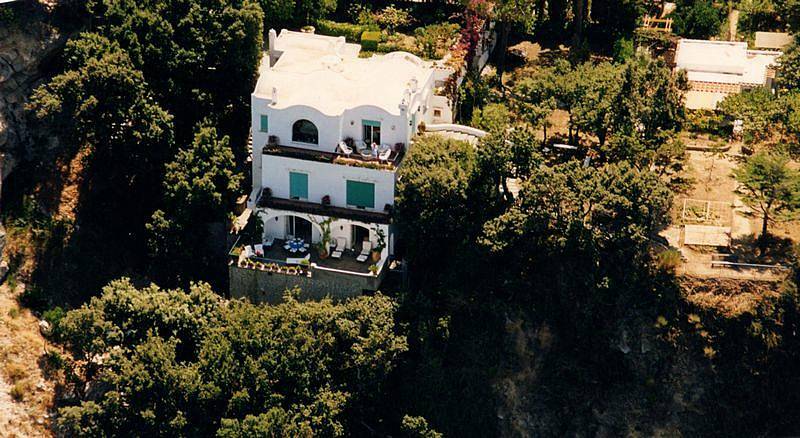 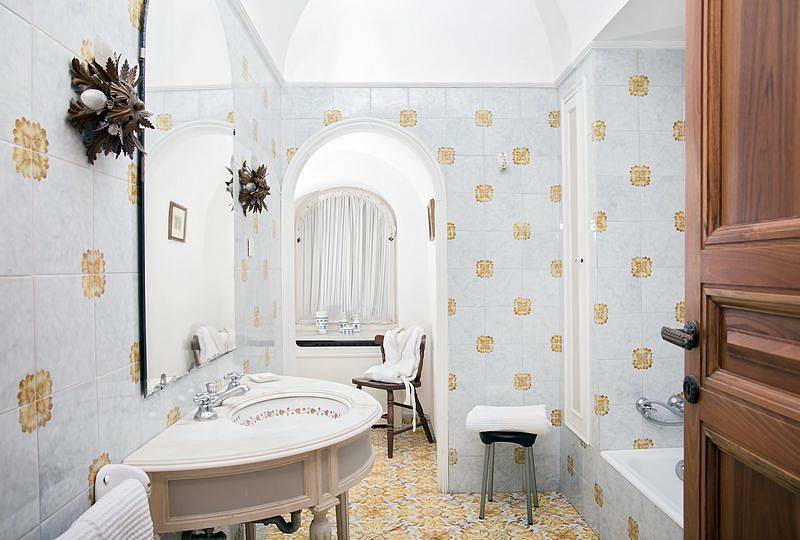 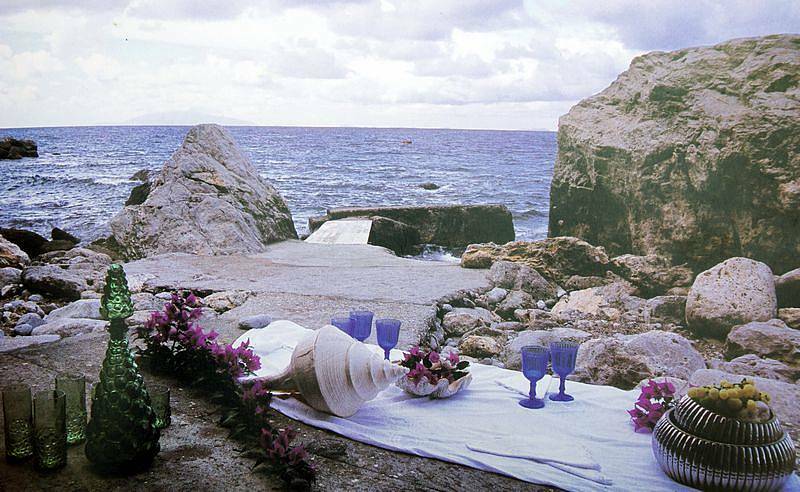 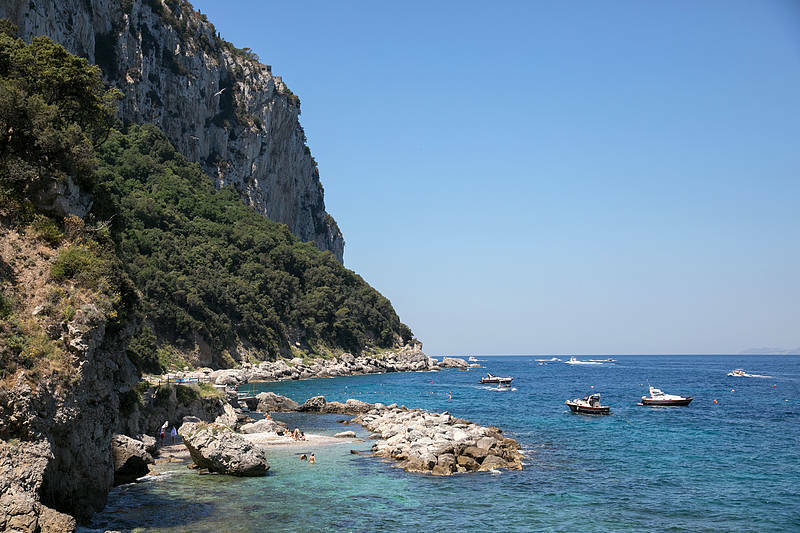 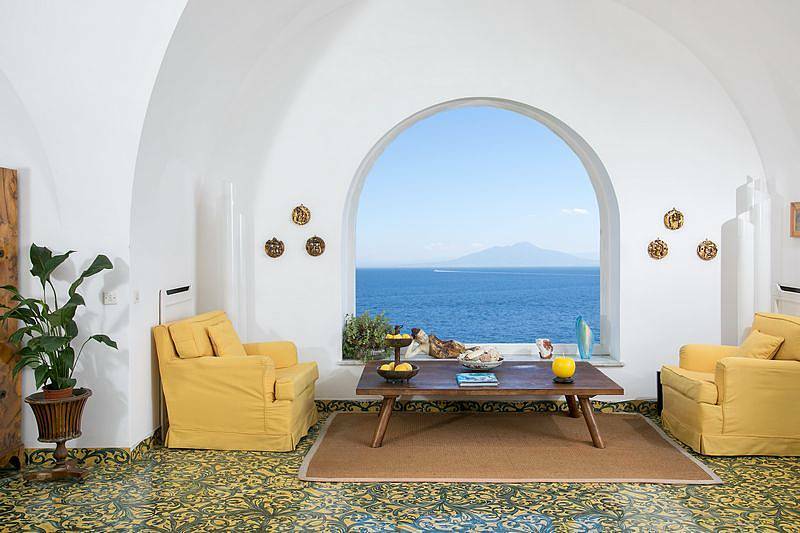 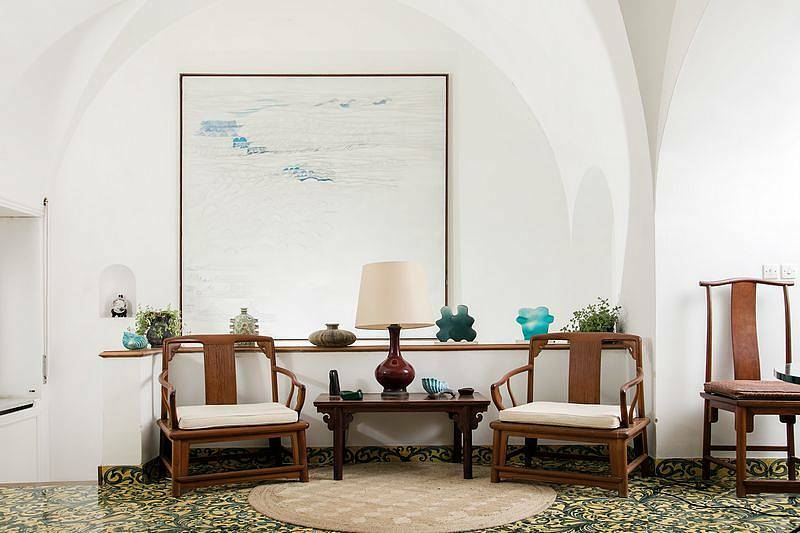 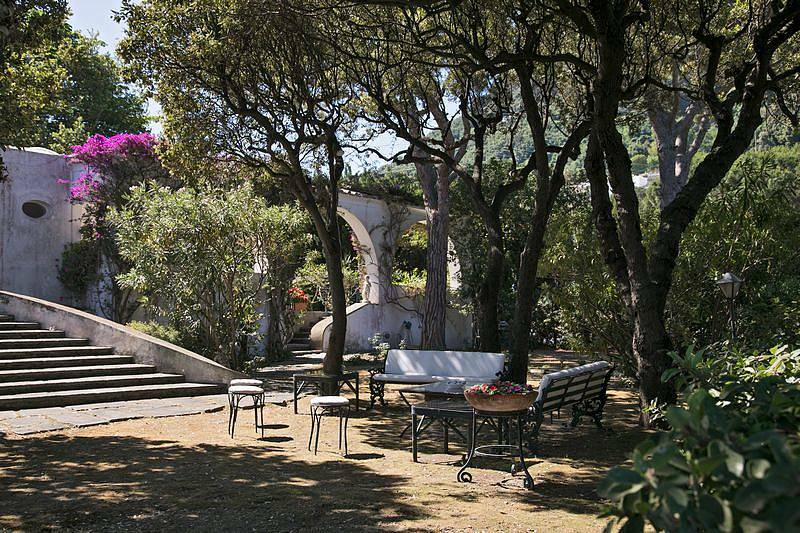 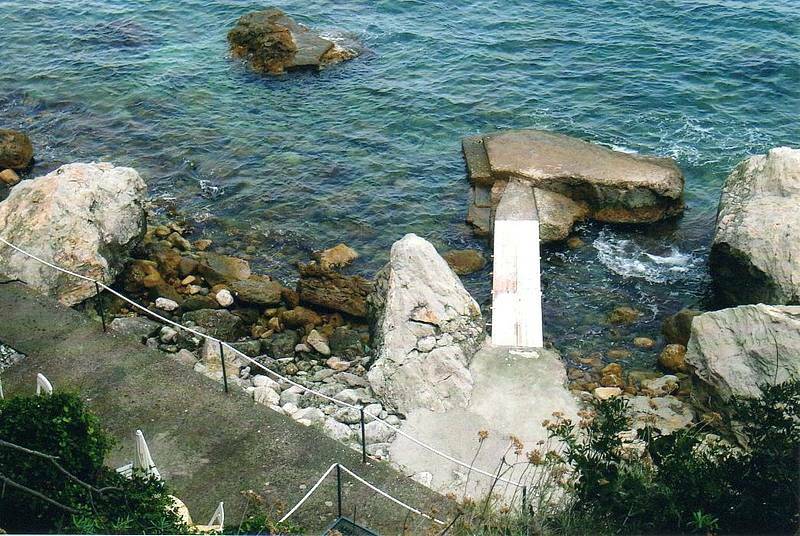 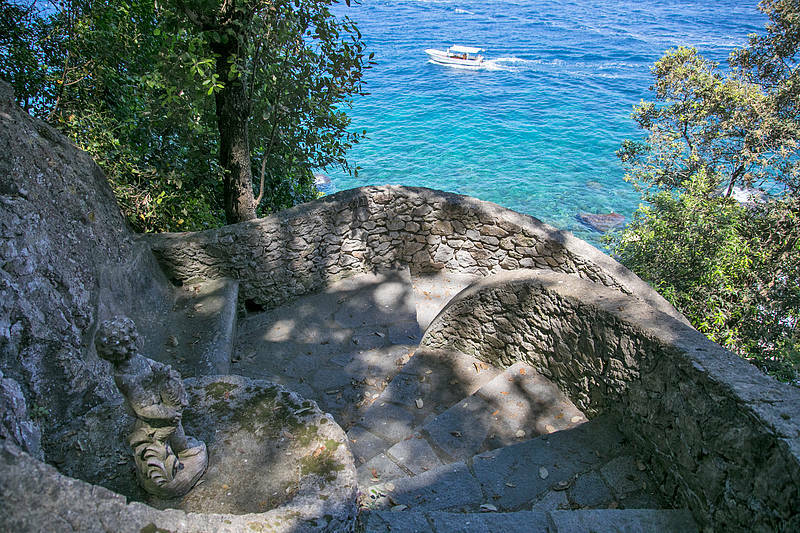 A stunning villa located in Palazzo a Mare, one of the richest archaeological areas on Capri, Villa L'Approdo offers '''incredible views over the Bay of Naples, including the islands of Ischia and Procida and the coastline of the Sorrentine Peninsula. 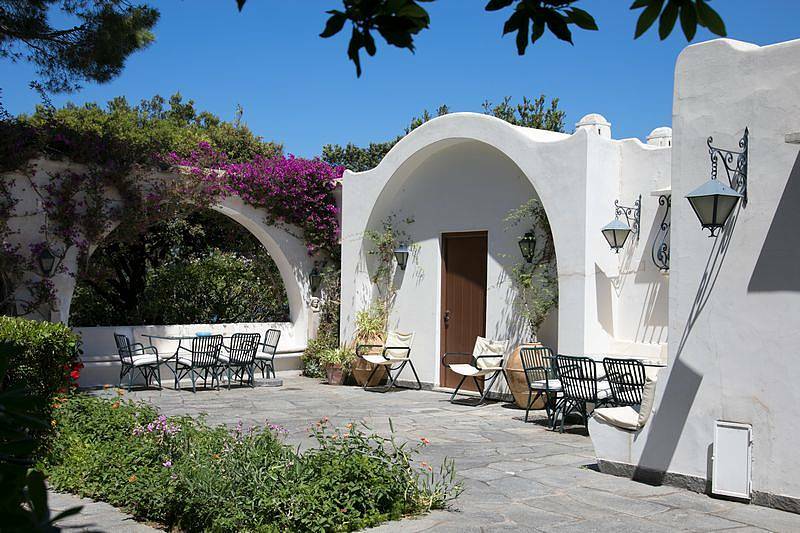 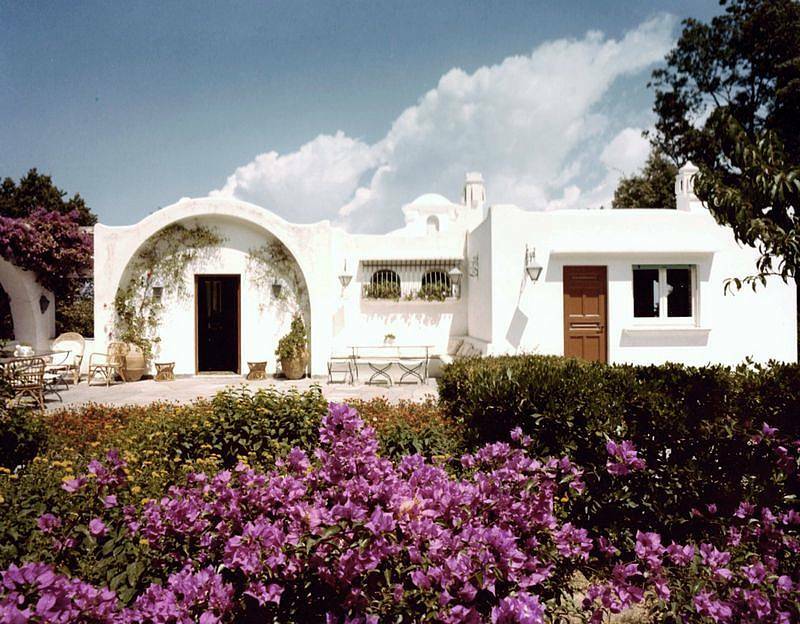 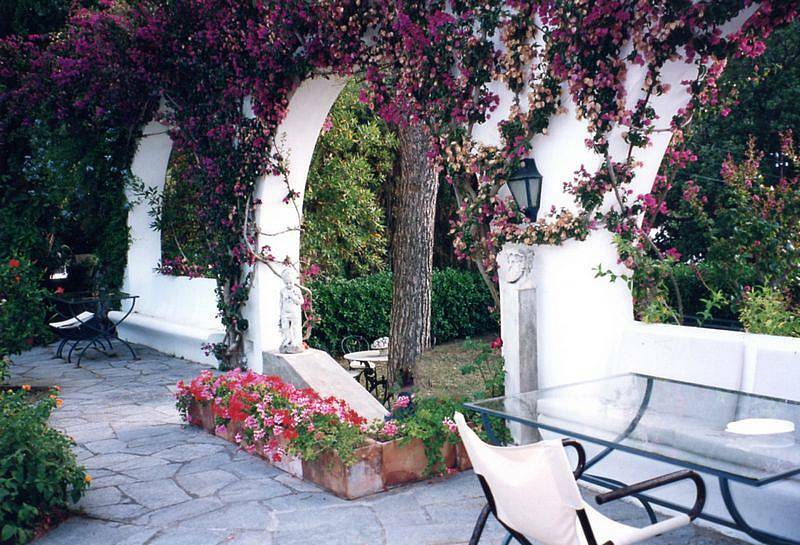 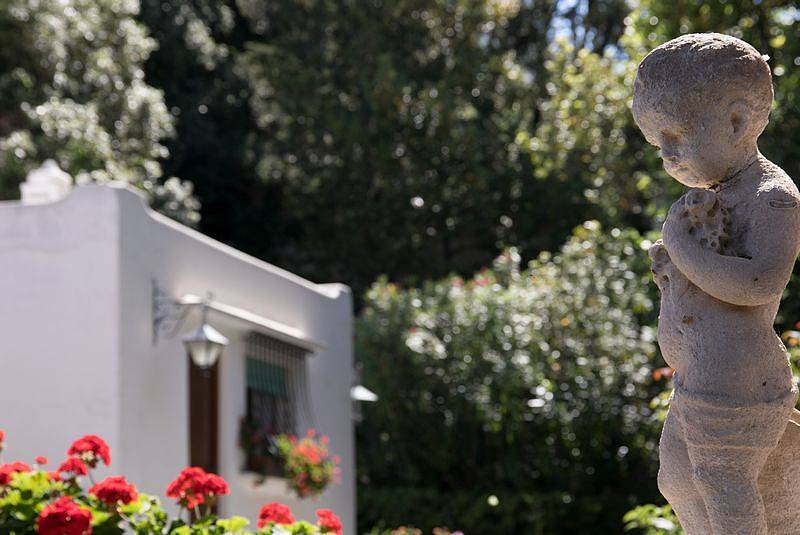 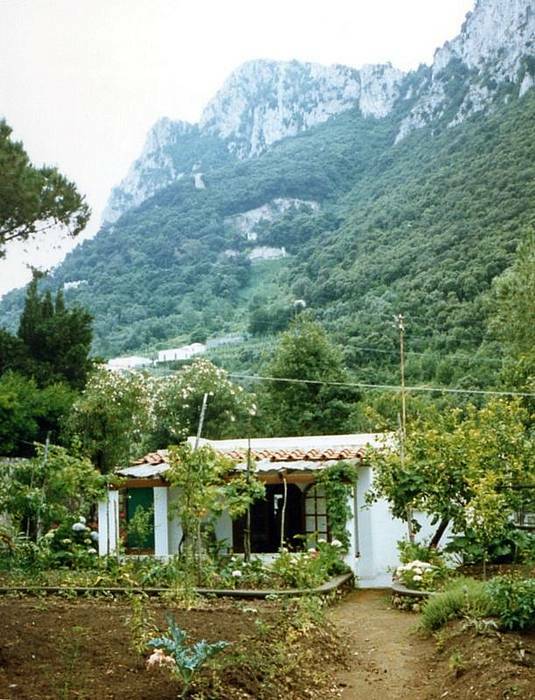 The villa is on two levels and is surrounded by a lush Mediterranean garden with flowering plants and succulents. 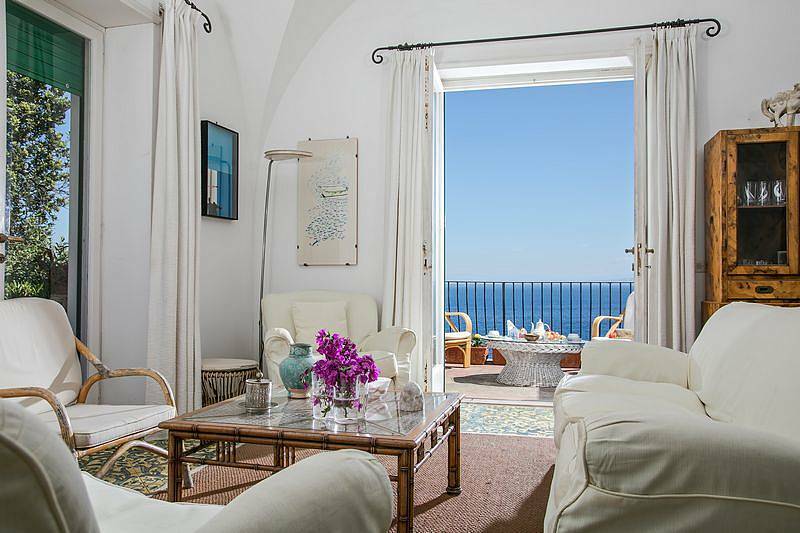 The ground floor of Villa L'Approdo has an elegant living room with marble accents and antique furnishings from the 1700's, paired with modern white couches and armchairs where you can relax in front of the flat-screen tv. 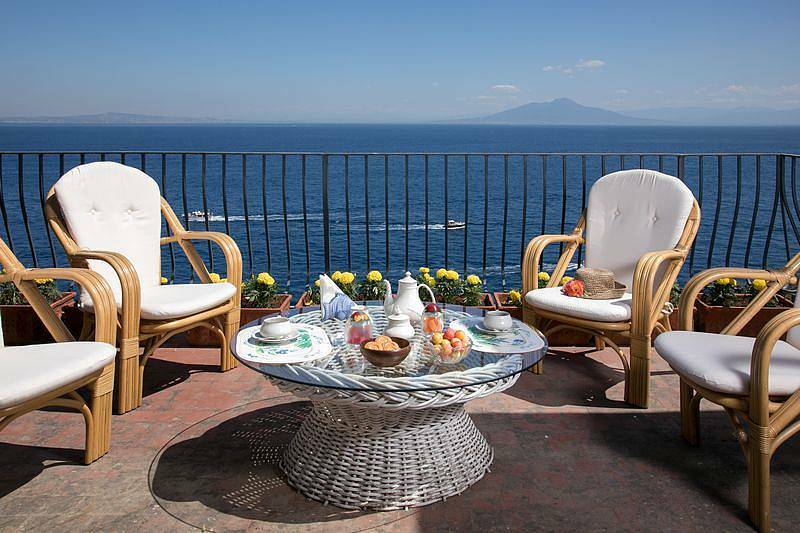 There is access to the outdoor terrace with a view from the living room, and a full kitchen and bathroom adjacent. 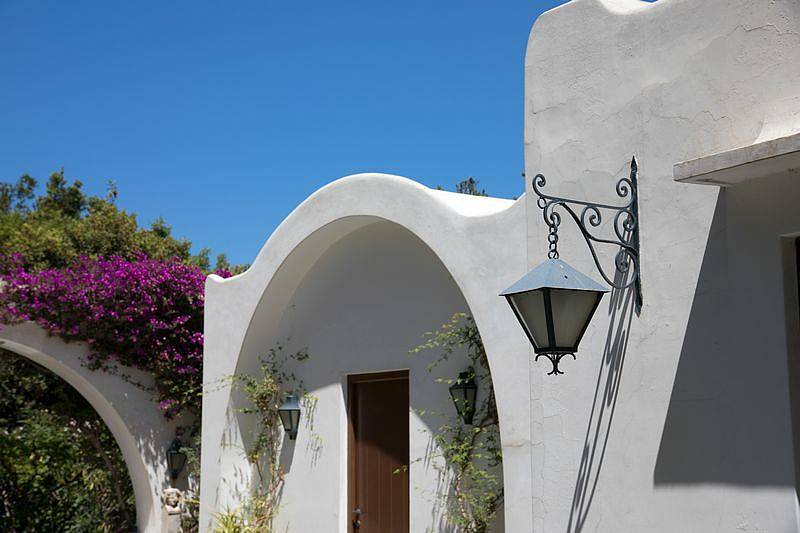 Down a short flight of steps, the lower level has 4 bedrooms. 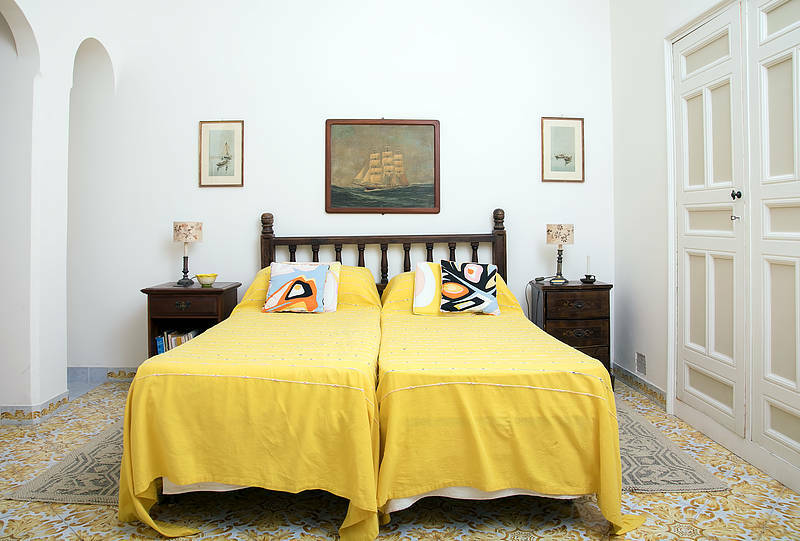 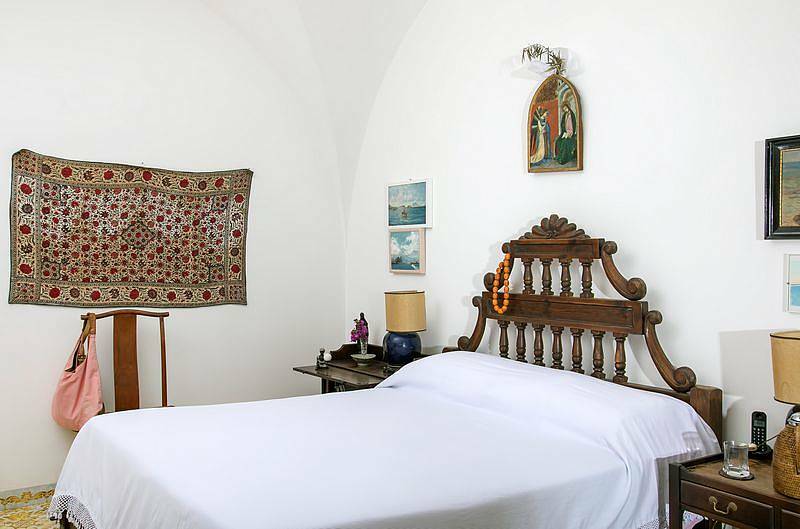 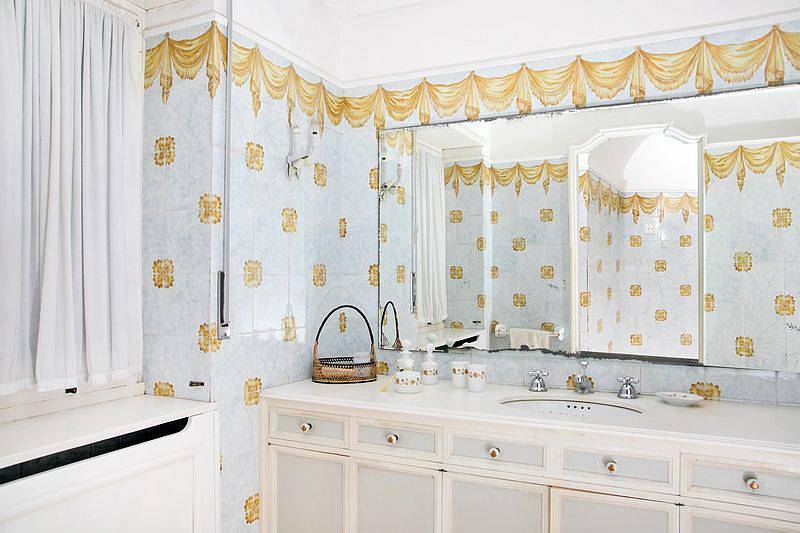 The master bedroom has an ensuite bathroom with tub, is elegantly furnished with antiques from the 19th century, and boasts a breathtaking sea view. 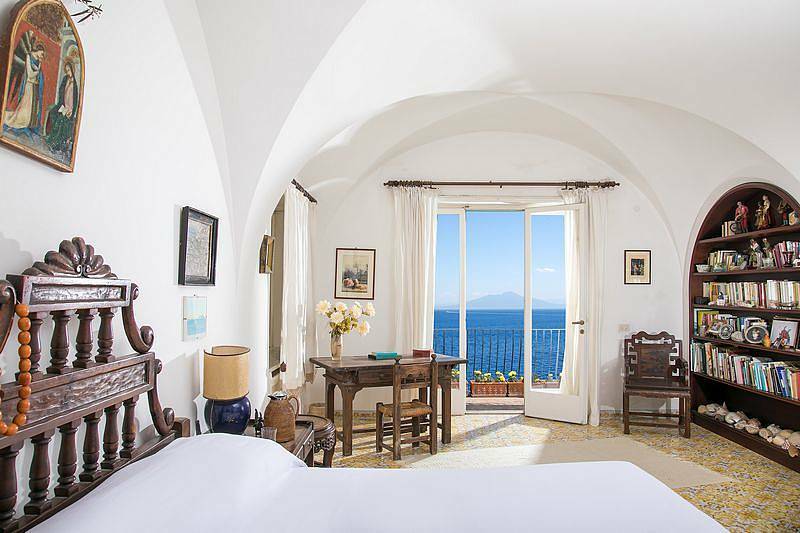 The second bedroom has two single beds and a bathroom with a sea view. 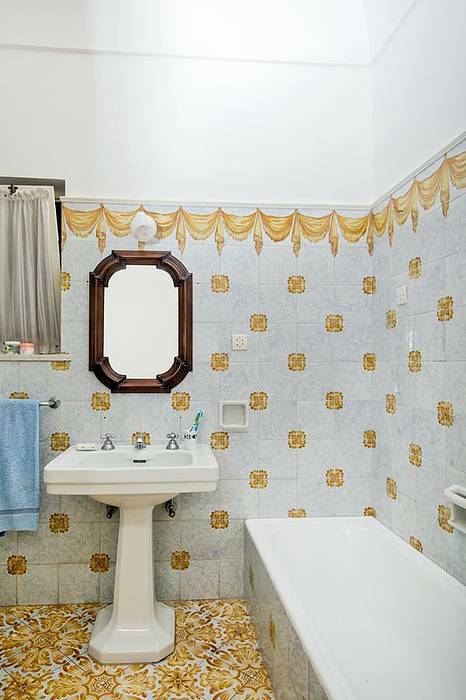 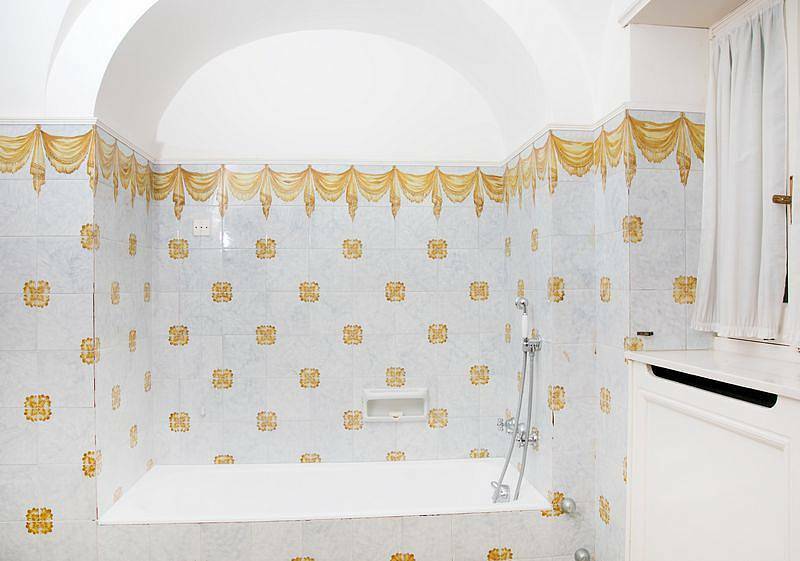 The third bedroom, next to the laundry room, has an ensuite bathroom with a tub, and the fourth is a single bedroom with an ensuite bathroom with a shower.